If you want to binge on a quick story, this is one to watch. The animation is amazing and it's backed with a gorgeous soundtrack by the great Yoko Kanno. The story is compelling, although it drags somewhat halfway through and the characters didn't really have time to develop in only 11 episodes. Still, it remains one of my favorites and its positives definitely outweighs its weaknesses. So glad that CR added this title to their catalogue for us to enjoy again. episodes watch it. hey you reading this you better watch it. wwwwwwwwwwwwwwwaaaaaaaaaaaaaaaaaaaaaaaaaaaaaaaaaaaaaattttttttttttttttttttttttttttttttcccccccccccccccchhhhhhhhhhh it. good job crunchyroll on these good adds. I am quite surprised to have logged in and saw that this was added. I immediately started to rewatch it and realize its just as good the second time through. I first viewed this when it was originally released back in summer 2014. Nearly two and a half years later i find myself engaged more than before. It is very well written and full of excitement for only 11 episodes. If you have never seen it before I highly recommend that you give it a go. I love how realistic this anime feels. The sincerity displayed in the portrayal of the characters makes it feel to me as if we're watching real people. What the characters are trying to accomplish here, and the way they go about it is unique in its depiction. The ending is so realistic and not sugar-coated to appease the audience. I had fairly low expectations of this anime initially, but after watching it, I quickly became hooked and I love the plot line! If you like psychological Thrillers like Death Note and Future Diary, then you'll love this! 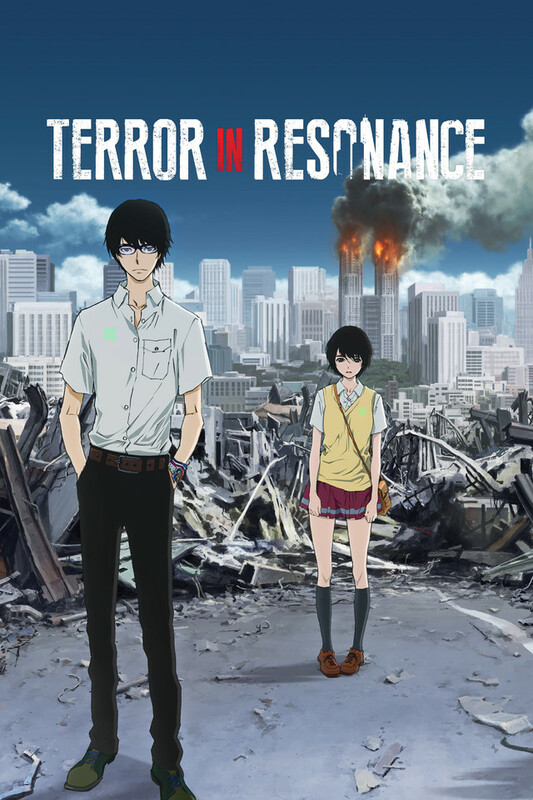 Terror in Resonance is full of drama, excitement, bombs, and a slow developing romantic relationship. It'll move you at your core and really make you think.